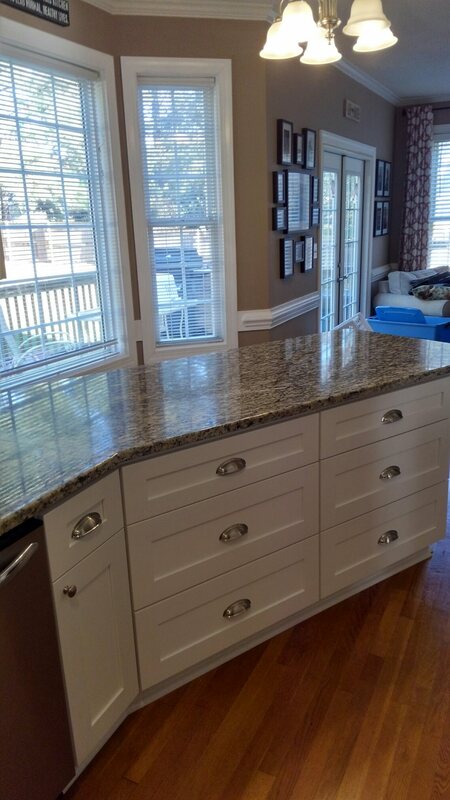 We know how frustrating it is to see a chip along the edge of your kitchen granite countertops. What’s worse, is that one of those chips lays at the edge of the sink – towards the front of it where it’s annoyingly visible to you! Luckily this is a problem that can be fixed by a granite professional – Visit our Granite Repair and Granite Seal Service page and then Call us today at (919) 363-9908! Call Showcase Design Kitchen & Bath Renovations today at (919) 363-9908. Serving Cary, Apex, Holly Springs, Pittsboro, Jordan Lake, Chapel Hill, Sanford, Southern Pines, Aberdeen, Moncure, Monroe, Morrisville, Fayetteville, and Fuquay Varina NC. As kitchen contractors with decades of industry experience, we are your best choice for a high-quality Kitchen and Bath Remodeling project!